Super Smash Bros. Brawl stage builder exploit discovered! A new exploit for the Nintendo Wii was discovered today and it seems this one is quite difficult for Nintendo to patch. 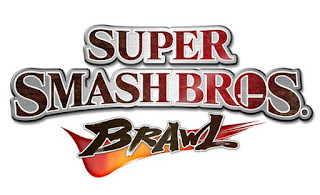 The exploit found by comex explores a vulnerability in Super Smash Bros. Brawl's stage builder code to run arbitrary homebrew code. So what's the difference between this and the others released before? This is different from other exploit because this one does not go through the System Menu, and as of this time, Nintendo has no method on the Wii for patching games. Currently it will load an elf file from /boot.elf on the SD card. To use use the exploit, all you have to do is delete all the custom stages of SSBB on your Wii, then copy over the file. When you enter the stage builder menu, it will automatically run /boot.elf on SD. The coder says that the exploit will be released soon, in the meantime, watch the video below to see the exploit in action.